Welcome to our unsuspecting gem east of LA: close enough to Pasadena, Arcadia and Downtown LA; far enough to remain your personal haven among fun neighbors-turned-friends. A tempting invitation to a simpler time, our boutique-style Monrovia apartments blend ultra-luxe design with that priceless small-town feel. Quartz kitchen counters, mosaic tile backsplash and wood-look plank flooring inspire from within while Old Town Monrovia beckons a dreamy stroll down picturesque streets. Located in the heart of Monrovia’s Restaurant Row, your favorite new eatery is a brisk walk away. 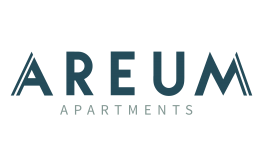 With two Metro Gold Line Stations nearby and quick access to the 210, Areum keeps you connected to anywhere life may take you.